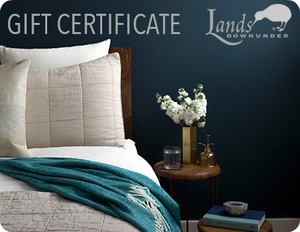 Your Gift Certificate may be used to purchase any merchandise online at landsdownunder.com. Free shipping applies to all purchases made with a Gift Certificate and any sales tax is already included in the item’s listed price. You can choose to email it directly to the recipient, or have it emailed to yourself to print at home.